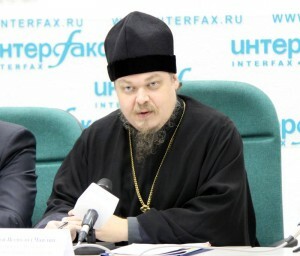 Bishkek, December 11, Interfax – The Moscow Patriarchate insists that believers have a right to influence political processes and the state. “Believers are citizens of the state and it is illegal to try to prevent them from participating in public processes determining the present and future of the country. It’s like separating people from people,” Archpriest Vsevolod Chaplin, the head of the Synodal Department for Church and Society Relations, said at the 2nd international St. Antony recitals in Bishkek. The priest believes Russia and other “Russian world” countries are destined to realize the ideal of Christian statehood that was realized under the rule of the Romanov family. “No matter how progressive an ideology aimed at depriving people from God is, it will lead to a catastrophe. The twentieth century showed it with relentless clarity. The future will show it, too, if we can’t show the world, at least to a small degree, that there is a different path of development, development according to God’s truth. It’s a path of loyalty to moral values,” he said.